The higher reaches of Jammu and Kashmir and Himachal Pradesh have been experiencing light rain and snow since the last few days. However, clouding is prevailing continuously over the all the three hilly stations of North India. In the wake of clouding, both day and night temperatures have also increase marginally over most places of Jammu and Kashmir, Himachal Pradesh and Uttarakhand. At present, a Western Disturbance lies over Jammu and Kashmir and adjoining region. Its associated cyclonic circulation lies over Southwest Rajasthan. Now both these weather systems are moving away east/northeastwards. Hence, Jammu and Kashmir will receive light rain and thundershower activities in isolated pockets. 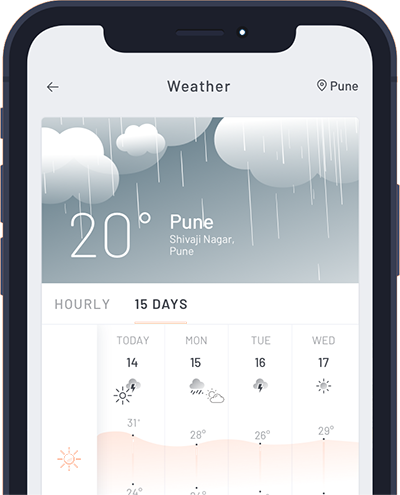 Meanwhile, Himachal Pradesh and Uttarakhand will receive light to moderate rain and thundershowers with snowfall and strong winds (40-6- kmph) at many places. 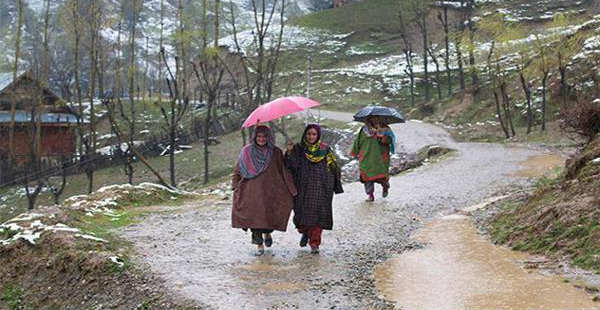 From March 24 evening to March 26, places like Kullu, Manali, Shimla, Lahaul & Spiti, Hamirpur, Bilaspur, Una, Nainital, Uttarkashi, Badrinath, Kedarnath, Haridwar, Dehradun, Srinagar, Pahalgam and Pulwama will receive rainfall activity. In the wake of rains and clouding, day temperatures will decrease over all these places. Meanwhile, night temperatures will increase marginally.